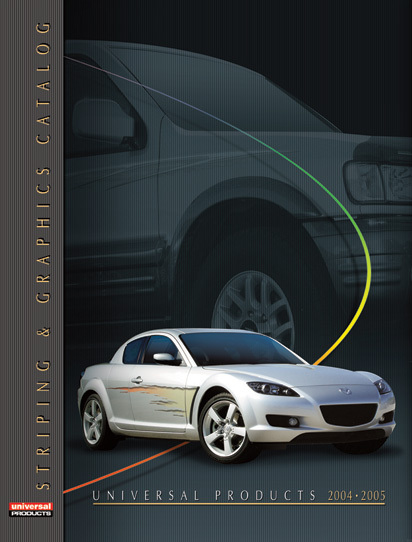 Universal Products produces a catalog every other year for their network of automotive graphic distributors and automotive customization shops to show to their customers. 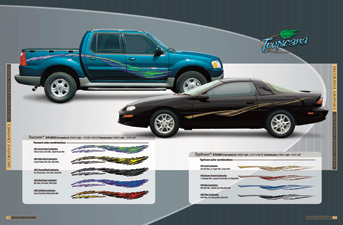 This catalog needs to show each vinyl graphic along available striping configurations and colors. My catalog design promotes the company’s products in a professional and stylish manner and shows the products in an intuitive, easy to understand layout. 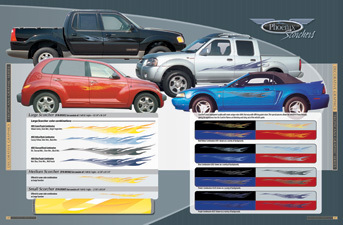 This catalog was well received by the distributors and customization shops.